Pansy Pachanga will chronicle the rich but often untold history of the LGBTQ communities of the Rio Grande and the stories of resilience and activism from within this community. Coming June 2019. Rio Grande Valley, Texas – Pansy Pachanga explores the roots of the lesbian, gay, bisexual, trans, and queer community of the Rio Grande Valley and the unique social, historical, religious, political, and cultural forces that led to the repression of many of these identities. Forces that have made— and in some ways— continue to make the region a particularly challenging space to be openly queer in. Pansy Pachanga takes its name from a 1992 Pride fundraiser organized by an organization called Valley Voice and The Little Darlings. This event— a backyard BBQ with chicken plate sales to raise money for LGBT advocacy— was the last in a series of events that happened in June of that year that made up the Valley’s first known LGBTQ+ pride celebration. This project will be a collaboration between One Scene Studios and Neta. Neta is an online platform creating culturally relevant content about the Rio Grande Valley from a progressive perspective. In 2017, Neta was recognized at the GLAAD Gala in San Francisco for elevating LGBTQ+ voices from the RGV and received a “Rising Star” grant sponsored by Target. One Scene Studios are the creators of “As I Walk Through The Valley,” a documentary about the secret history of underground music in the Rio Grande Valley of south Texas. Community members can learn more about the film and support the crowdfunding campaign to help with publishing costs at pansypachanga.com. Media representation plays a big role in shaping culture and society. 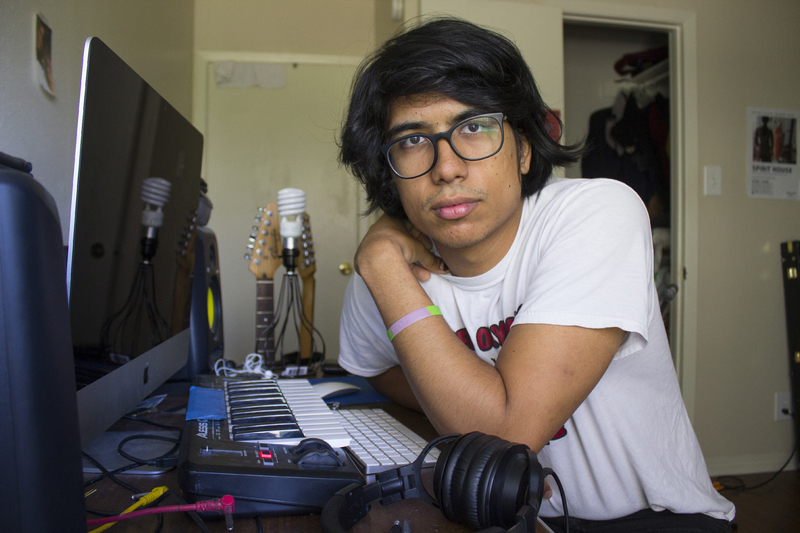 For too long, the stories of LGBTQ+ people in the Rio Grande Valley have gone untold. To our vibrant and beautiful community in the RGV, this is for you. Growing up in the Valley, I felt like I knew so little about the history of the region when it came to LGBTQ+ people. We as a community have made so many visible strides in the past few years, and I used to think that the 70s, 80s, and 90s and going back even farther were like the dark ages for queer people here. As I started gathering stories from people and piecing together our history, I learned that we have been here literally from the very beginning of the Valley’s recorded history and that we have been living, loving, finding each other, and fighting back against all of the oppression thrown our way for a long time. I think it’s important to give people access to that history and to give these stories new life in this way. We believe the Rio Grande Valley is a rich and diverse cultural region. We’re extremely proud to be working alongside Neta to help bring the stories of a vital part of our community to light both in the RGV and nationally.